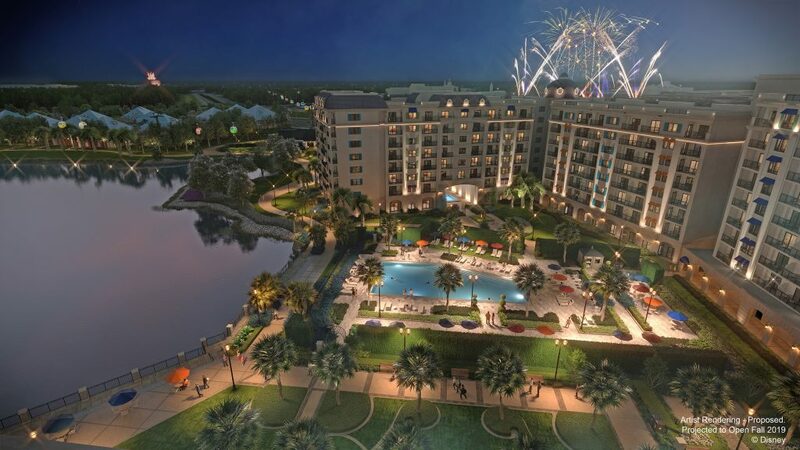 In addition to all of the other news released today about Disney’s Riviera Resort such as the new rooftop dining experience, room types, and concept art of the Disney Skyliner gondola station, we now have a new piece of art that shows off the pool area. 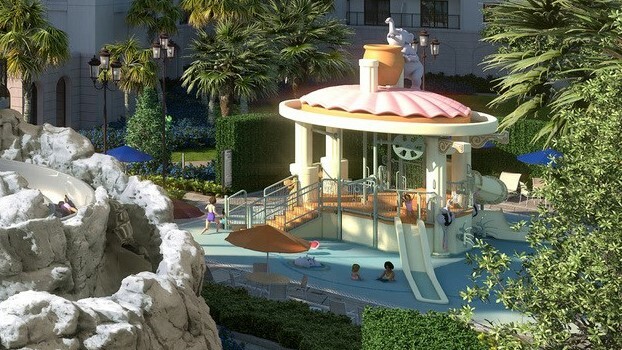 Disney describes it as a family-friendly pool area that will invite you to swim, splash and play—while a more serene pool will offer relaxation. At the Riviera Pool, sun umbrellas will dot the grounds as the inviting waters cast a warm, golden glow upon the surrounding stucco façades. The Riviera Pool will feature a pool slide that winds around a stately column tower. And little mademoiselles and messieurs are sure to make a splash at S’il Vous Play, an interactive water play area for kids that’s inspired by the grand public fountains of Europe—featuring a ballet of friendly Fantasia characters. 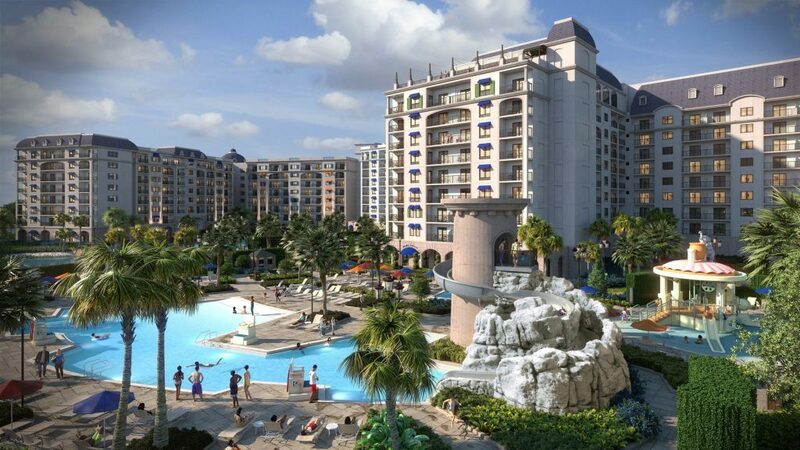 Disney’s Riviera Resort is currently accepting bookings for mid-December.